Check out our SAVE the DATE for June 3 and 4, 2019. Registration to open in April 2019. Early Intervention is key in reducing the impacts of trauma. Iowa is making waves to promote infant and early childhood mental health to build resiliency amongst the population. This assessment is adapted from Dr. Fallot's work and the National Homelessness Center project. You can find the assessment on our resources page. Check out how others are adding Trauma Informed Practices to their organizations and duties! Check out our resources page for articles, books, and videos related to Trauma Informed Care. Trauma Informed Care is an organizational structure and treatment framework that involves understanding, recognizing, and responding to the effects of all types of trauma. Trauma Informed Care also emphasizes physical, psychological and emotional safety for both consumers and providers, and helps survivors rebuild a sense of control and empowerment. No one is immune to the impact of trauma. 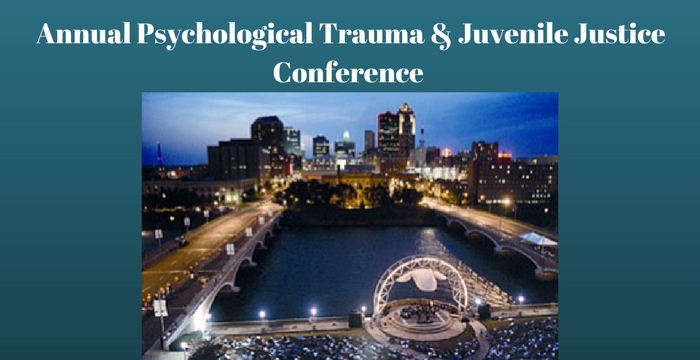 Trauma affects the individual, families, and communities by disrupting healthy development, adversely affecting relationships, and contributing to mental health issues including substance abuse, domestic violence, and child abuse. Everyone pays the price when a community produces multi-generations of people with untreated trauma by an increase in crime, loss of wages, and threat to the stability of the family. Becoming “trauma-informed” means recognizing that people often have many different types of trauma in their lives. People who have been traumatized need support and understanding from those around them. Often, trauma survivors can be re-traumatized by well-meaning caregivers and community service providers. The Iowa TIC project seeks to educate our communities about the impact of trauma on clients, co-workers, friends, family, and even ourselves. Understanding the impact of trauma is an important first step in becoming a compassionate and supportive community.